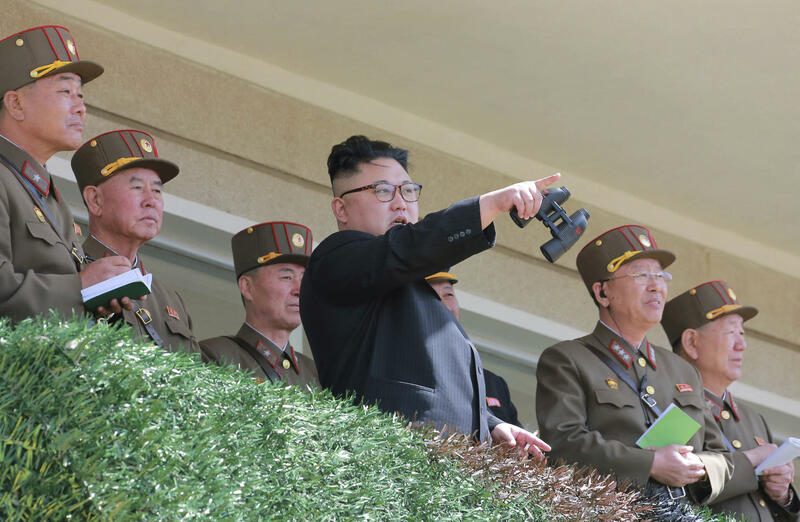 North Korea launched a missile from a test facility near the country's west coast early Sunday morning, U.S. officials tell CBS News national security correspondent David Martin. The launch came just days after South Koreans went to the polls to elect a new president. The South Korean military says the missile flew about 435 miles, or 700 kilometers, according to Reuters. The missile flew for 30 minutes before landing the Sea of Japan, Reuters said, citing a Japanese official. U.S. officials said they were still assessing whether the launch was successful and trying to determine what kind of missile was tested. The last North Korean missile test on April 28 failed minutes after launch. The flight was not consistent with an intercontinental ballistic missile, said Maj. Rob Shuford, a spokesman for the U.S. Pacific Command. Although the type of missile is not known, the U.S. had been expecting the North to fire a KN-17 medium-range ballistic missile, Martin reports. The North American Aerospace Defense Command (NORAD) determined the missile launch from North Korea did not pose a threat to North America, Shuford said. The White House issued a statement Saturday night saying President Trump had been briefed about the launch and called North Korea a "flagrant menace." "With the missile impacting so close to Russian soil - in fact, closer to Russia than to Japan - the President cannot imagine that Russia is pleased," the statement read. South Korean President Moon Jae-in took office on Wednesday following his victory in Tuesday's closely watched presidential election. Moon, the country's first liberal leader in a decade, said he would be open to visiting the rival North. Moon has taken a much more conciliatory position towards the North compared to his predecessor Park Geun-hye, who was removed from office in a corruption scandal. "I will quickly move to solve the crisis in national security. I am willing to go anywhere for the peace of the Korean Peninsula -- if needed, I will fly immediately to Washington. I will go to Beijing and I will go to Tokyo. If the conditions shape up, I will go to Pyongyang," Moon said in his first address to the country's National Assembly. The Trump administration has called on China to apply more pressure to the North Korean regime. China remains Pyongyang's primary benefactor and trading partner. In an interview with CBS News' "Face the Nation" in April, President Trump said that pursuing China's help with North Korea is more important than securing better trade agreements. "I think that, frankly, North Korea is maybe more important than trade," he said. "Trade is very important. But massive warfare with millions, potentially millions of people being killed? That, as we would say, trumps trade." Mr. Trump also referred to North Korean dictator Kim Jong Un as a "pretty smart cookie."